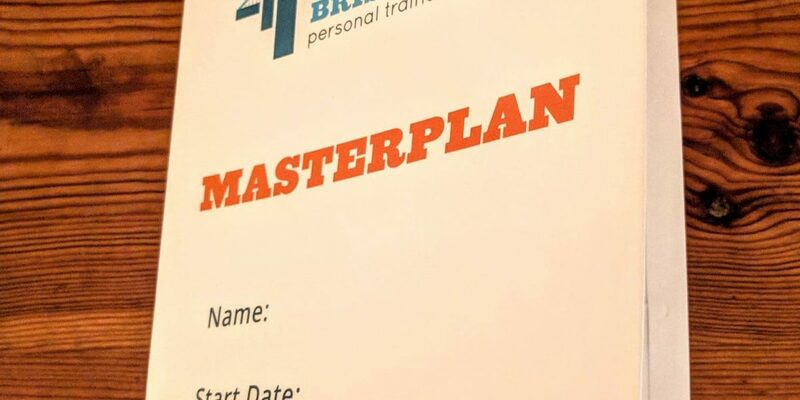 Although no two clients are trained in the same way, we use the same process to tailor our strategies to your needs and to keep your training on track. 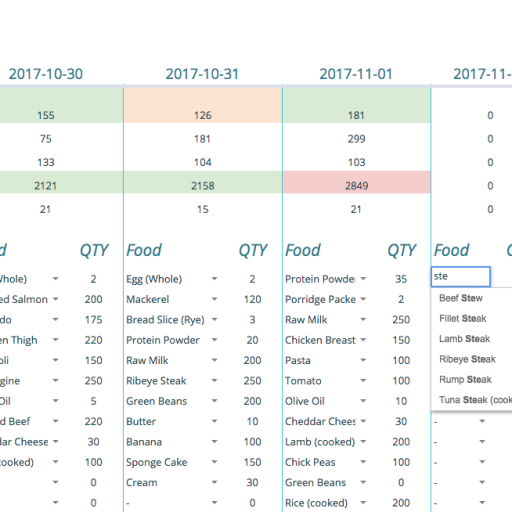 It contains all the documents required for your transformation, from the initial assessment questions to your exercise programs, diet programs and any information sheets you accumulate while training with us. You are given shared access to your Masterplan via GoogleDrive, allowing you to read and edit all your documents on any device (computer, phone, tablet) as required. A hard copy version is also kept at the gym, and is yours to take home as part of your final progress report once you complete your transformation. In case you forget any aspect of our chosen strategy after the debrief session, you can refer back to this document to learn more about why we have chosen it and how it works. Throughout your transformation you will have multiple exercise programs. 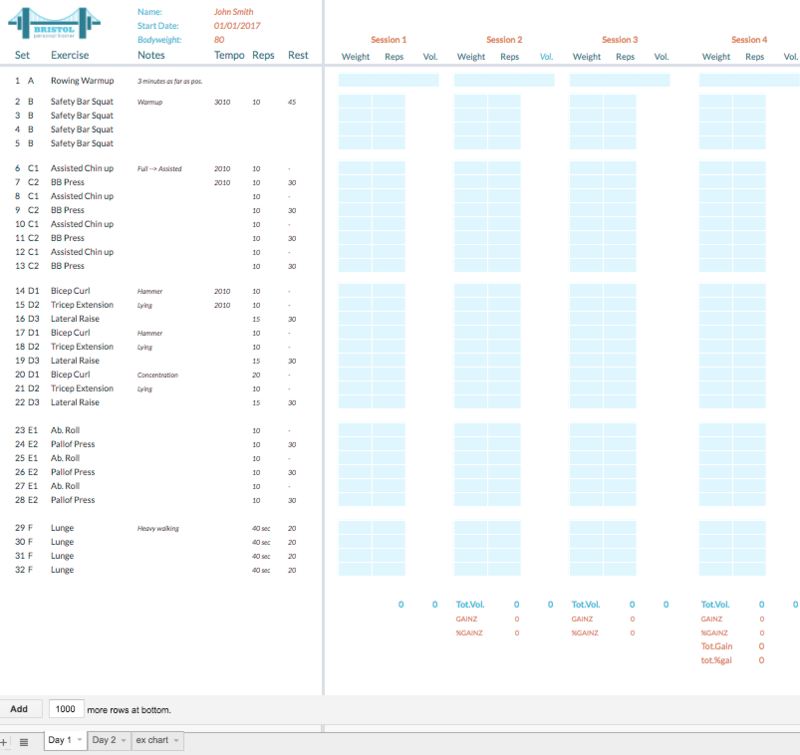 A key aspect of all of these programs is tracking your performance throughout every workout. Although the exercises will differ, the general template used for each program is designed to make recording the weight and reps from each set as easy as possible. 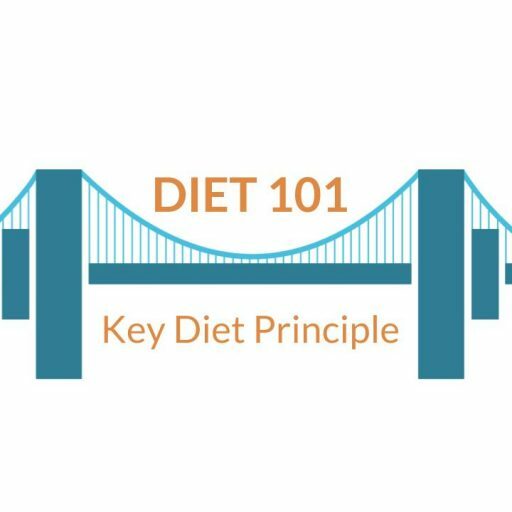 Diet programs will vary person to person, and we have many tools in place to help with whatever strategy you are on. 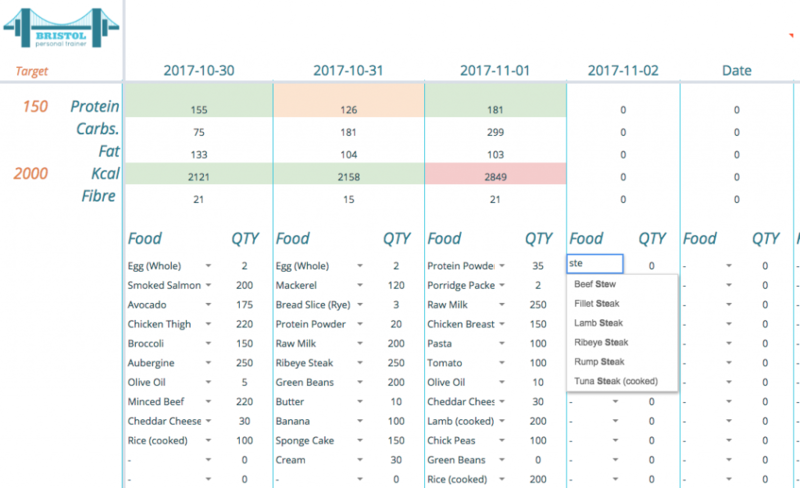 Such as our in house diet tracker for those tracking their macronutrients more closely. 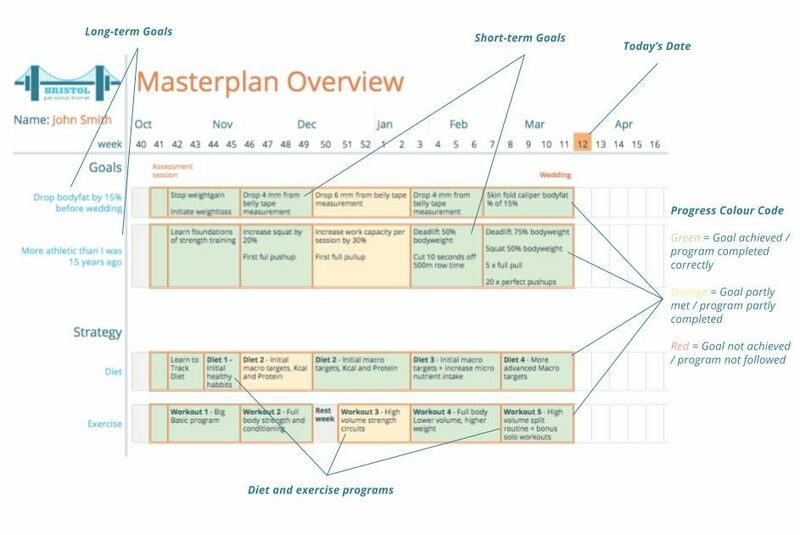 We appreciate that it can be a lot of information to take in at times, so every time we introduce a new principle or recommendation, we will add a relevant help-sheet into your masterplan for you to refer back to.